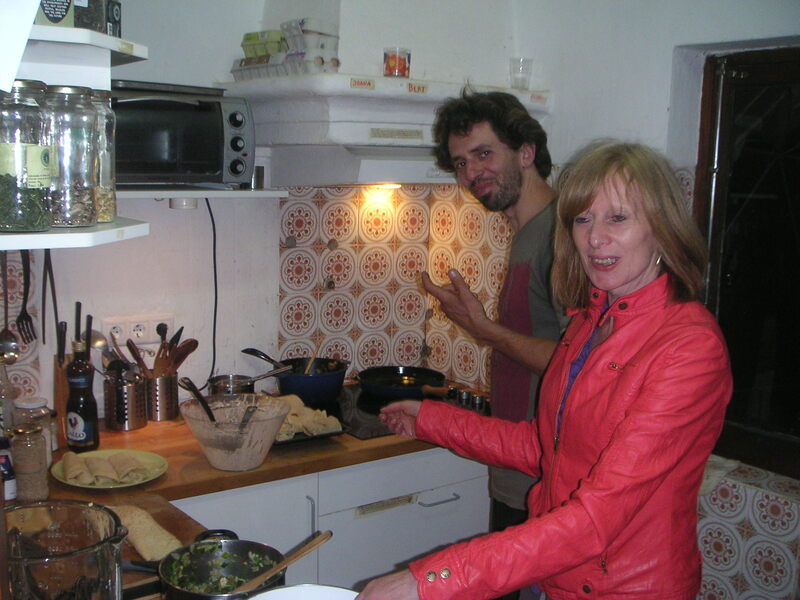 Next to meditation and gardening we like cooking and the adventure of today is called Blinai. It is the Lithuanian name for vegetable stuffed pancakes as we learned from Linas, an experienced cook who recently joined us for some volunteer gardening and cooking, and who is preparing them tonight. Meanwhile Satsavya makes a tapenade from our olives, harvested last autumn.